Retail $9.75 SAVE 24% ! 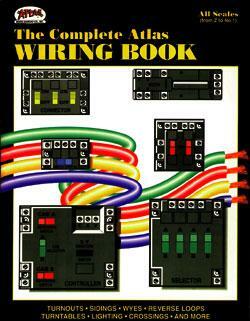 Very interesting and informative book showing most all wiring concerns for a model train layout. Good examples. This item really gives good information. Step by Step. And you can skip any pages. Designed for use with Atlas track and electrical components or any two-rail DC, from N scale to G gauge.